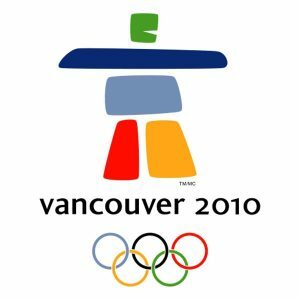 On July 2, 2003 the City of Vancouver was awarded the 2010 Winter Olympic Games. 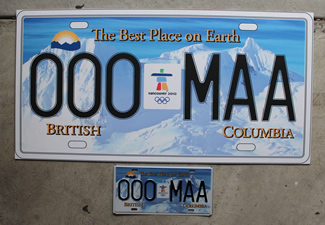 On April 11, 2007 ICBC announced the release of an optional license plate to promote the Games. 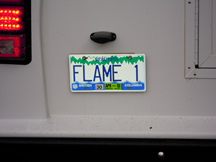 With this being the first optional/specialty plate to be available in BC, a new era of plate spotting would begin. 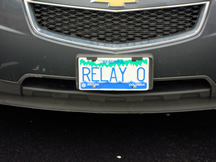 The Olympic plates went on sale April 16, 2007. Although I got my plates on the first day I was somewhat disappointed at getting a plate nowhere near the starting point of MAA. 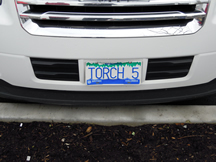 However it was still nice to have something other than the traditional flag base plates. 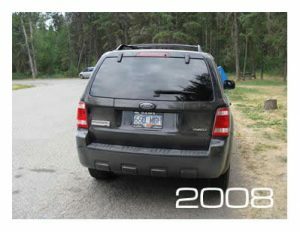 Just over a year later we would be issued new plates for our new SUV. 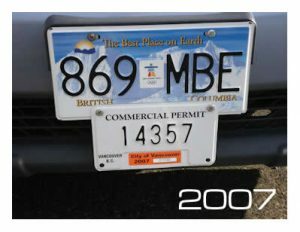 ICBC normally makes you turn in any expired plates but was allowing people to keep their front plates as a souvenir. 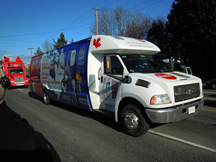 In the Fall of 2009 the Olympic Torch Relay began, eventually visiting each province and territory. 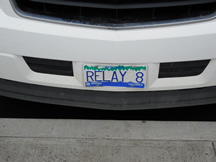 The various vehicles involved with the relay provided some great plate spotting. 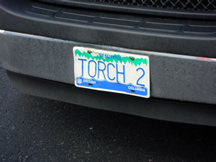 The official torch relay vehicles were outfitted with personalized BC plates featuring the words RELAY, FLAME or TORCH along with a single digit. 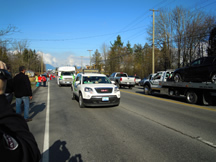 Many of the accompanying sponsor vehicles (such as those from RBC and HBC) had standard Ontario, Alberta or Quebec plates. 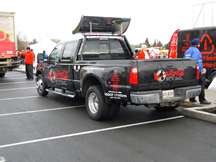 Most of the Coca-Cola vehicles were outfitted with standard Georgia plates (their world headquarters are located in Atlanta, GA). 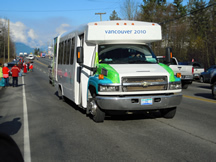 It was announced that samples of the Olympic plates would not be available to the public like the Flag base ones that can be purchased from ICBC. Years later samples had appeared in images online but that was it. 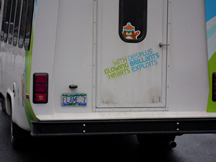 But in 2014 at the ALPCA National Convention in Rochester, NY, an interesting plate was donated by ICBC for the donation auction. Needless to say I didn’t hesitate to bid on this plate and bring it back home to BC! 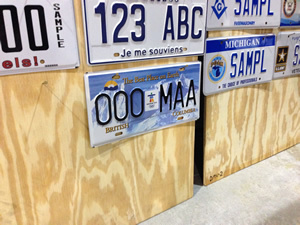 Although it looks like a legitimate number (000-MAA would technically be the very first plate!) 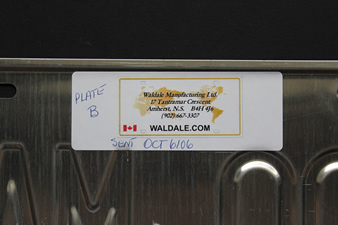 the sticker on the back leads me to believe it is, in fact, a sample plate.